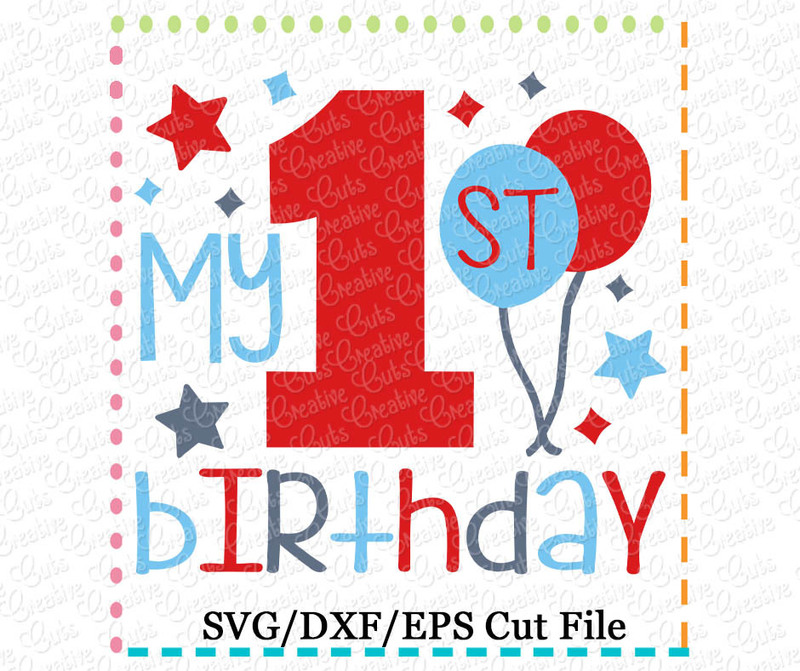 Includes: SVG Cut Files (separate layers for cutting machines that use SVG files) DXF for use with Silhouette Studio Basic Edition EPS for use with Silhouette Business Edition This file is to be used with a cutting machine NOT an embroidery machine. Purchase includes Limited Commercial Use less than 100 uses. Commercial use greater than 100 uses can be purchased separately. Earn 3 points at checkout OR buy this item for 45 points. This file is to be used with a cutting machine NOT an embroidery machine. Purchase includes Limited Commercial Use less than 100 uses. Commercial use greater than 100 uses can be purchased separately. This design is also available in a larger set. Just click on the "My Birthday Balloons Boy Set - Cutting Files" link in the "You might also like" section for more information.